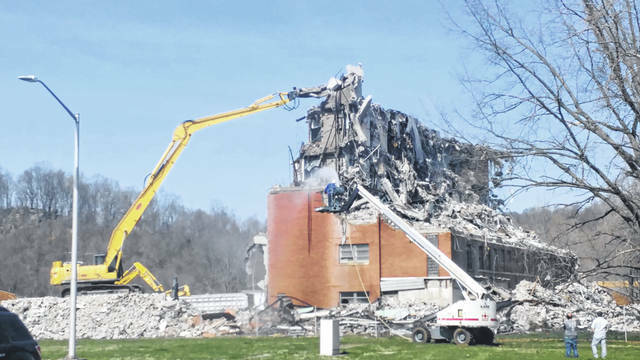 A structure referred to as the 6049 Building on the Gallipolis Developmental Center property was being demolished Thursday. The building reportedly once housed medical offices, clinics and resident rooms. The Gallipolis Developmental Center property once had a maximum population of more than 1,500 people in its lifetime and the location had served as an American Civil War hospital, as well as an epileptic hospital before serving as the area’s developmental center. More information on the demolition in an upcoming edition of the Tribune.